In December 2017, the 27 billion dollar Yamal LNG project became operational, the first joint Belt and Road Initiative (BRI)-Eurasian Economic Union (EEU) project to reach fruition and a major Chinese upstream investment in Russia’s energy industry. This milestone, followed by China’s publication of its long-awaited White Paper on Arctic Policy in January 2018, provides an opportunity to reassess some of the conventional wisdom about the Sino-Russian partnership. Ever since the Sino-Russian partnership was formed in 1994, analysts have noted that the level of political dialogue has by far outpaced progress in economic relations, a trend that Chinese scholars refer to as “hot politics and cold economics.” In the Arctic, we see the opposite trend, at least since the imposition of international sanctions on Russia’s energy industry in 2014. Russian officials have put out the welcome mat for Chinese investors and provided capital enabling key ventures to move forward despite sanctions, including the Yamal LNG project as well as a $5.5 billion investment by China’s Poly Group in the Archangelsk deep-water seaport and the Belkomur rail line, thereby connecting the port to Western Siberia and reducing shipping distance by 800 km. Due to sanctions, China has had to put together needed financing carefully, using the Silk Road Fund and its own development banks for investment in Yamal, rather than the more internationally involved China National Petroleum Corporation. CNPC also backed away from an investment in the Vankor oil field in Krasnoyarsk Krai and a consortium of Indian investors ultimately invested in the multibillion-dollar deal, although most of the oil is destined for China. Russia has long sought to diversify its Asian partners and the Arctic is no exception—indeed Vietnam and India began investing in energy projects in this region prior to China. While it is true that there are limitations to Sino-Russian economic cooperation in the Arctic—the low price of oil, international sanctions, Chinese demand for gas, and the navigability of the Northern Sea Route provide challenges—in the Arctic, we do see evidence of major Sino-Russian economic cooperation. Moreover, these joint projects address some of the weaker points in the economic relationship overall, such as the relatively limited Chinese investment in Russia to date and the need for concrete projects to connect the BRI and the EEU. In July 2017, during President Xi Jinping’s visit to Russia, the two countries launched the “Polar Silk Road,” which envisages further cooperation in the energy sector, as well as a joint venture to build ice-class cargo vessels for cargo shipping, and the development of a Northeast Arctic underwater fiber optic telecommunications cable (Arctic Connect). Unlike Sino-Russian interactions in other world regions, in the Arctic Russia occupies a stronger position and so far has played a key role in determining China’s access to it. While China may claim to be a “near-Arctic state,” Russian commentators are quick to state that China is an outsider to the region with key economic and environmental interests in its future development. Russia demurred on China’s observer status in the Arctic Council until it agreed to recognize the sovereignty of Arctic states and the UN Convention on the Law of the Sea as the guiding framework. Moreover, Russia issued new rules in 2017 stipulating that only Russian vessels may ship energy resources through the waterway. Russia also requires the use of its own icebreakers to accompany shipping in the Northern Sea Route, and, following UNCLOS article 234, which gives coastal states jurisdiction over 200 nautical miles of an ice-covered waterway, considers the Northern Sea Route to be its internal waters. Interestingly Russia has not sought to cooperate in developing a Chinese icebreaker capability—China’s first homebuilt icebreaker was made in cooperation with Finland’s Aker Arctic Technology. In this way, Russia maintains the dominance of its icebreaker fleet and protects its shipbuilding industry from the reverse engineering that has plagued Russian military sales to China. Nonetheless, according to Chinese sources, Russia has played a key role in training Chinese crews for Arctic navigation, though other Chinese analysts bemoan the lack of underlying trust. Sino-Russian cooperation in the Arctic is indicative of their current strategic alignment, not of an alliance. Both seek to counter NATO’s role in the region, and Russia and China cooperated in their first naval exercise in the Baltic Sea in July 2017. Nevertheless, China and Russia pursue different political strategies towards Northern Europe, with China aiming to deepen economic relations through infrastructure projects and to increase its voice within the Arctic Council by enhancing its influence over the smaller Arctic states, such as Finland and Iceland. Recent efforts by Chinese firms to invest in ports in Lithuania, Norway, and Iceland as a part of the “Polar Silk Road” have raised concerns and Denmark recently thwarted a move by China to acquire an abandoned naval base in Greenland. For Russia, the stakes are higher, in terms of reducing the scope of sanctions, maintaining energy relations, and preventing further NATO expansion. In their different ways, both China and Russia seek to undermine European unity. Both have created alternative frameworks—China’s 16+1 initiative and Russia with the Eurasian Economic Union—though the former creates an open alternative to the EU, while the latter closes off the Eurasian economic space from the European Union. Over the long term, unpredictable factors may test the current Sino-Russian alignment. 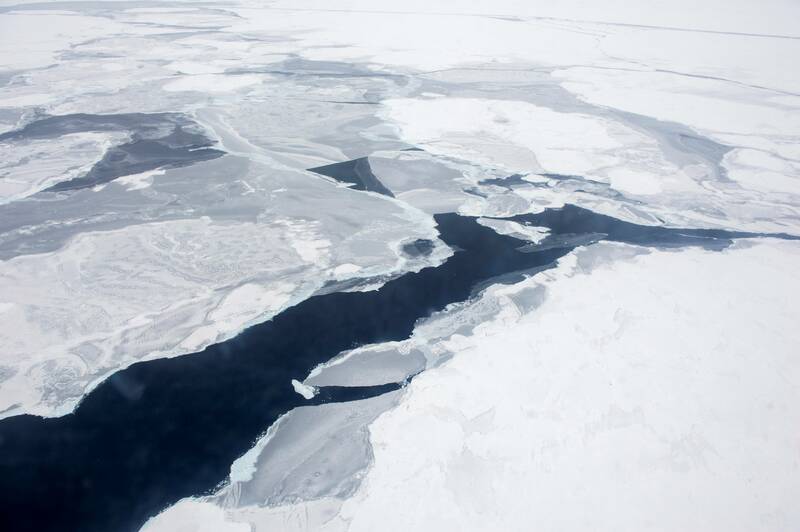 Climate change may make the Northern Sea Route ice-free and remove the legal basis for Russia’s claim to jurisdiction as well as its ability to serve as gatekeeper to China’s Arctic ambitions. If sanctions are removed, Russia will be able to access Western financing for its Arctic projects and need China less. Moreover, China may encounter blowback to its infrastructure plans for Northern Europe, making it a less desirable investment partner in the Arctic region as a whole. For now, however, Sino-Russian cooperation is breathing life into their economic relationship and supporting their strategic alignment. Dr Elizabeth Wishnick is Professor of Political Science, Montclair State University, and Senior Research Scholar, Weatherhead East Asian Institute, Columbia University. Image Credit: CC by U.S. Navy/Flickr.